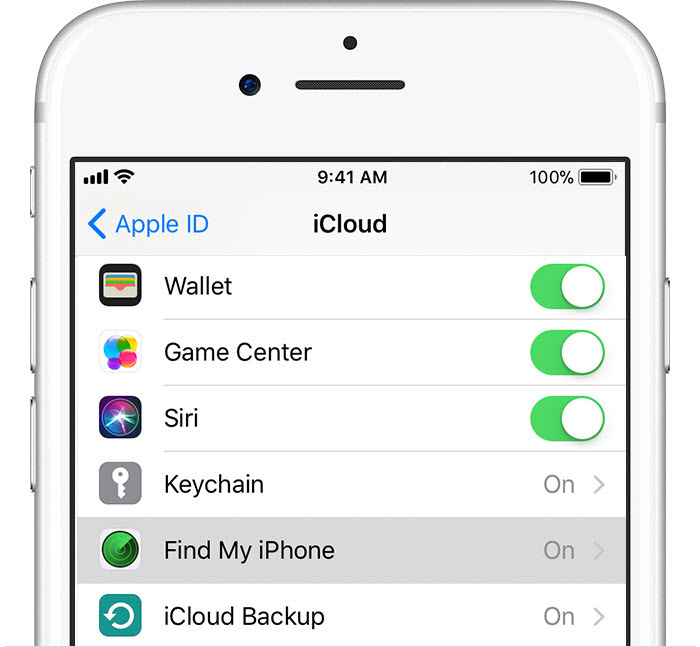 Having your iPhone on iCloud helps if you want to easily locate your phone when it’s lost or stolen. However, when you sell or give out your iPhone, you don’t need to have it associated with your iCloud account. You also need to safely delete all your iPhone data to prevent it from falling into the wrong hands. If all this sounds like gibberish to you, then this post will make it simple and straightforward. What Happens If You Remove iPhone from iCloud? When you remove your device from iCloud, it gets removed from the device list of Find My iPhone. It also turns off your former iPhone’s Activation lock. When your iPhone is lost and you remove it from iCloud, everything will be removed from the device. That means your data is safe and secure. However, the guy who gets your iPhone can use it without any limits. When your iPhone is lost and you don’t remove it from iCloud, you can use the Lost Mode to suspend any credit or debit cards set up for Apple Pay on your iPhone. And no one can get access to your iPhone and use it again even the device is restored, because the phone is associated with your iCloud account. 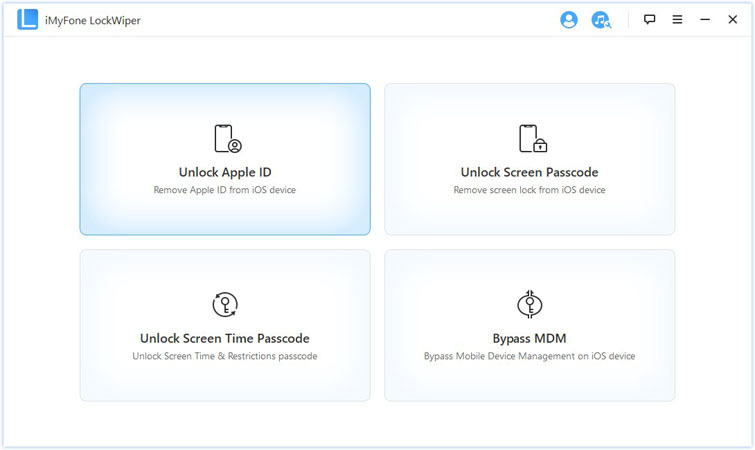 If you are looking for an easy/automatic way to remove iPhone from iCloud, then it is highly recommended that you give iMyFone LockWiper a try. This software is one of the best when it comes to solving various types of issues related to Apple ID or iCloud account. LockWiper will allow you to remove iPhone from iCloud quickly and conveniently. This software was originally designed to help iOS users bypass/remove their iDevice lockscreen but with the latest update, it can now solve any kind of Apple ID issue professionally. Step 1. Launch iMyFone LockWiper on your computer and connect your iPhone to your PC via compatible lightning cable. Step 2. After that, select the Unlock Apple ID mode from the home screen of the software. Step 3. Next, start the removing/unlocking process by clicking on the Start to Unlock button displayed on the next screen. iMyFone LockWiper will remove your iPhone from iCloud once the process is complete. 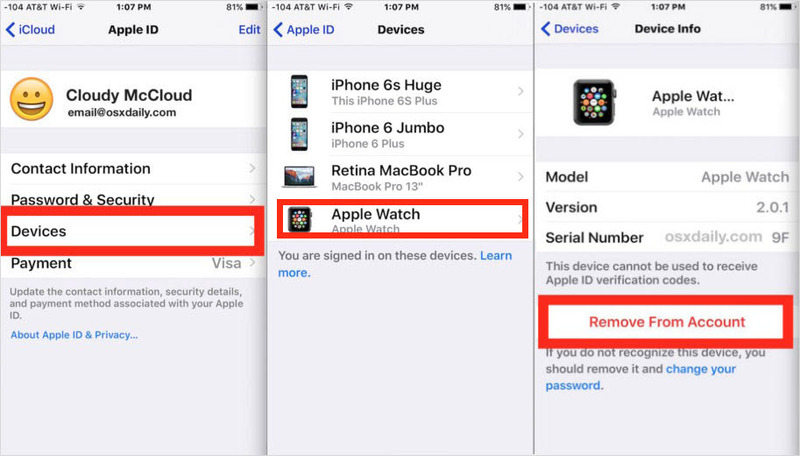 Remove iPhone from iCloud conveniently via Unlock Apple ID mode. 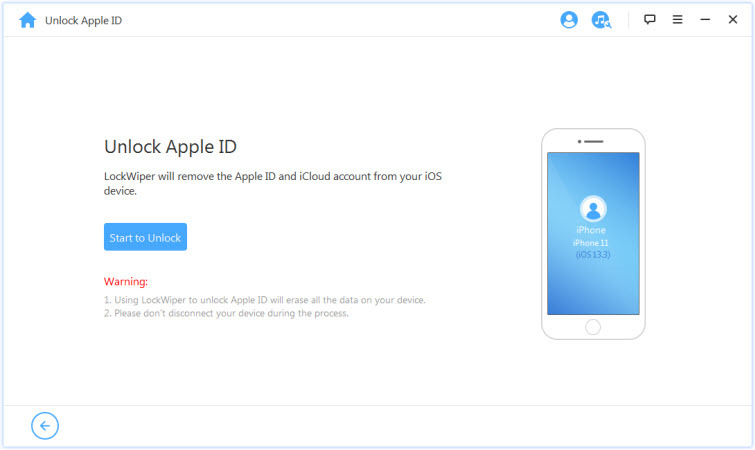 LockWiper can help you remove Apple ID or iCloud account to allow you to erase your iPhone without password. 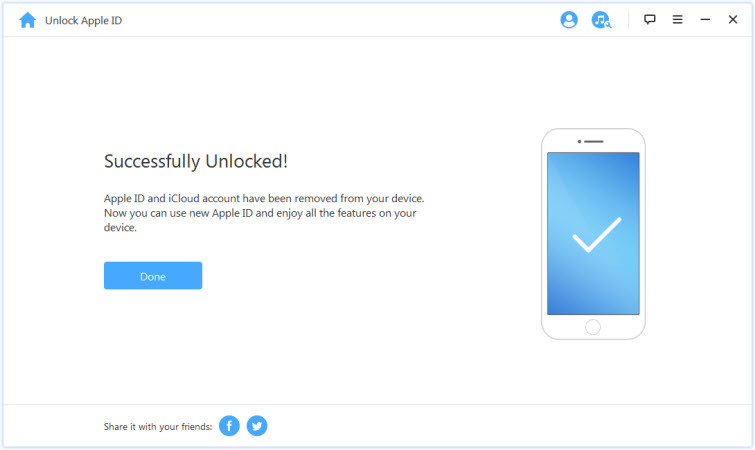 You can remove iCloud account or Apple ID without the help of previous owner or if you don’t remember the password. Unlock your iPhone lockscreen without password within minutes. Bypass 4-digit passcode, Face ID, Touch ID, as well as 6-digit passcode. On the iPhone, go to Settings > [Your Name] > iCloud and turn off Find My iPhone. 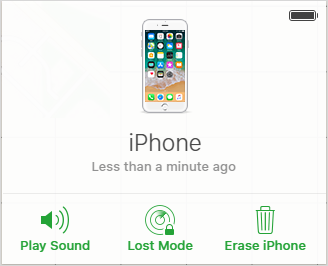 Your iPhone will be removed from the device list from Find My iPhone. But it won’t influence the data on the device. 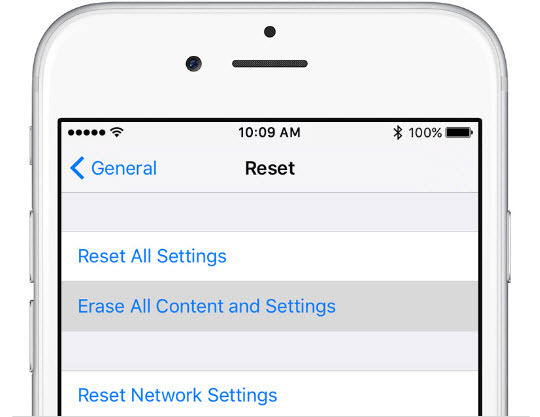 You can also make sure to delete the data on your device by going to Settings > General > Reset > Erase All Content and Settings. When you erase your data, this turns off Find My Phone and Activation Lock. Not only your iPhone will be removed from iCloud, but also all the data will be deleted from iPhone. Sign in to iCloud with the same Apple ID on the new device. Go to “Settings > iCloud > Your Account > Devices". Tap the device you want to erase in the Devices list. Choose “Remove from Account” and confirm it. However, this won’t delete the device from the associated devices list permanently. If the device is signed in with the same Apple ID and connects to the internet. This device will reappear in the devices list. Go to iCloud.com and login with your details. In the next screen, click on the “Find iPhone” feature. This takes you to another screen. At the top, click on the “All Devices” drop down menu. You’ll see a list of devices connected to your iCloud account. Click on the one you want to remove and click Erase iPhone. Confirm by click on "Erase". If the device is currently offline, the erase begins when it comes online. Also, when you erase it, all the credits and debit cards associated with your Apple Pay get deleted. It also disables Apple Pay even if the device is offline.